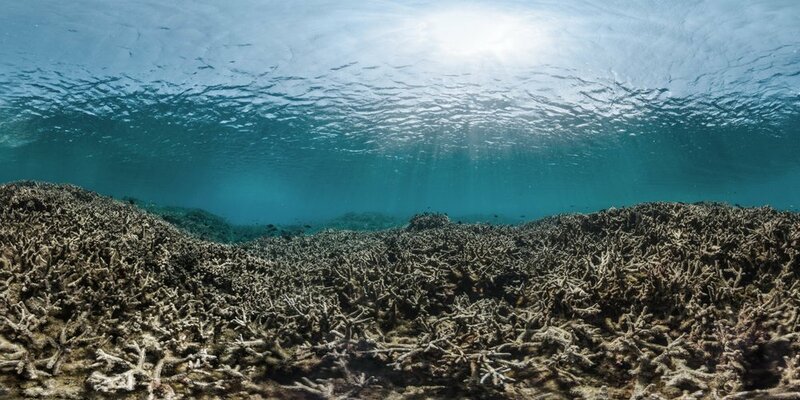 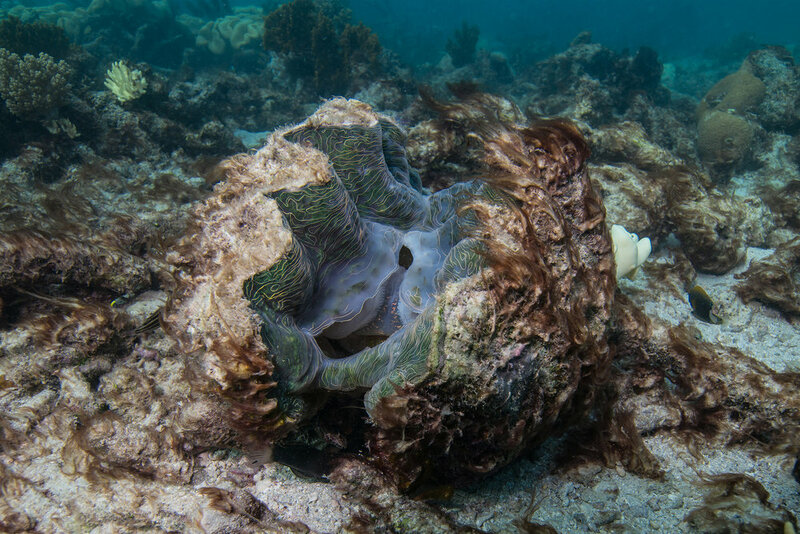 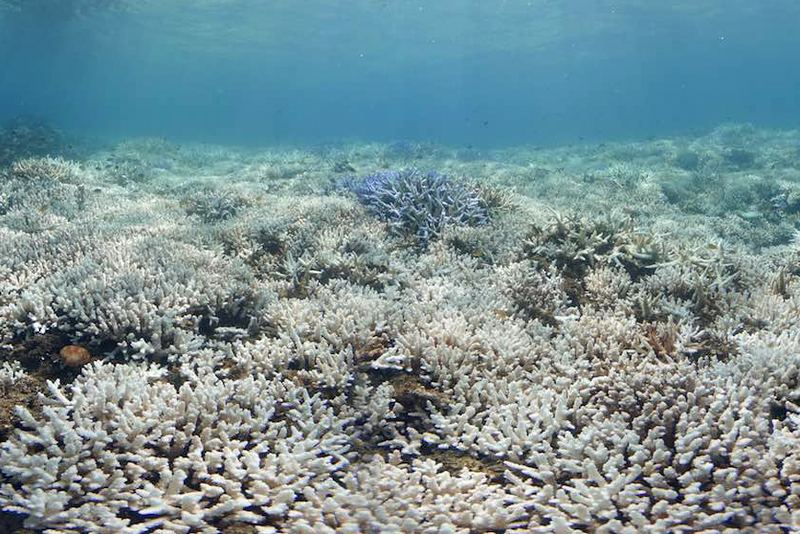 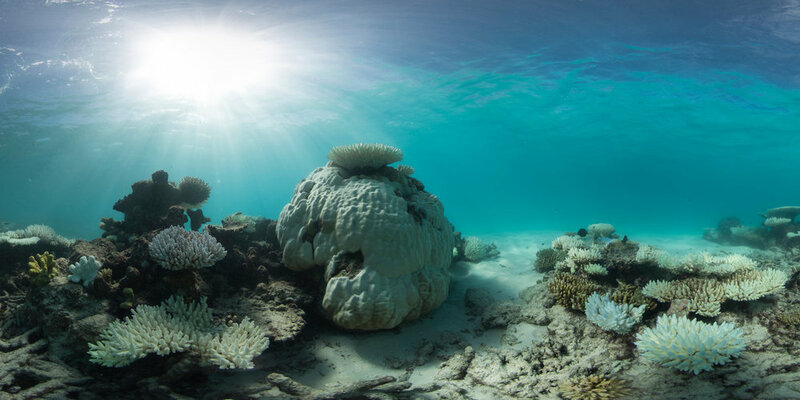 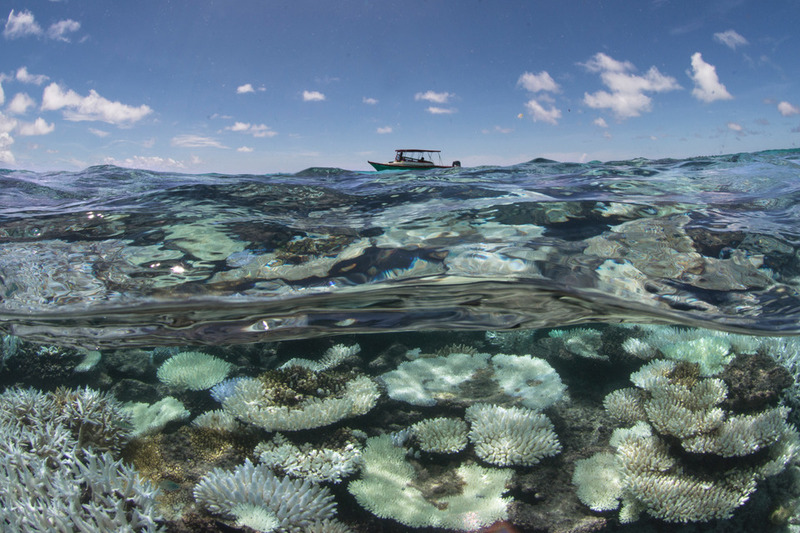 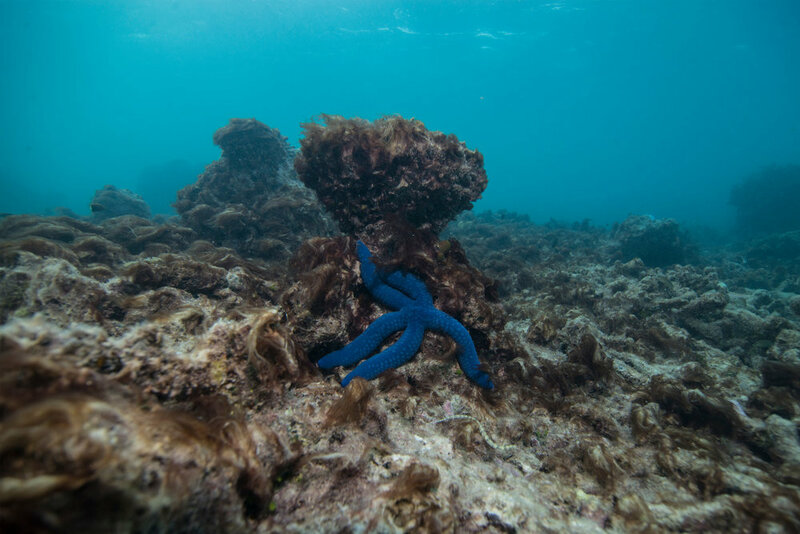 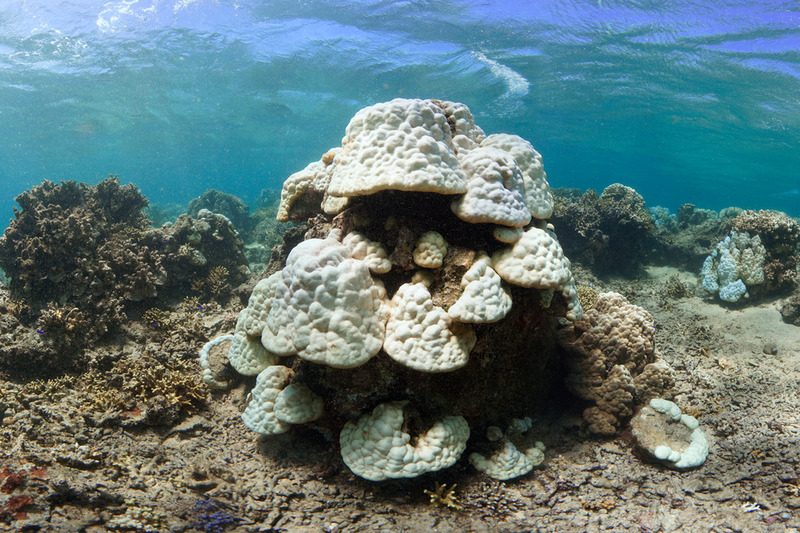 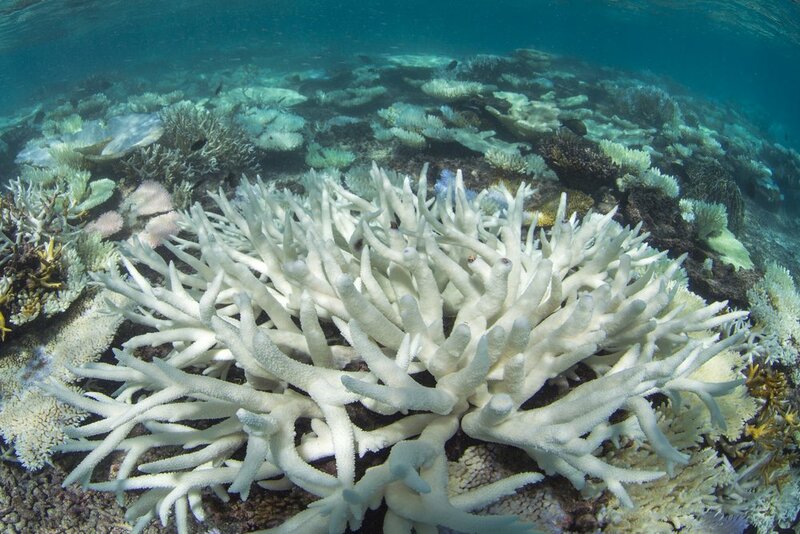 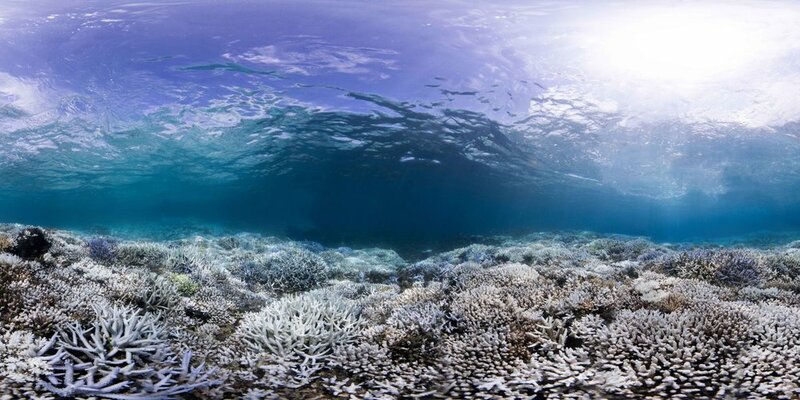 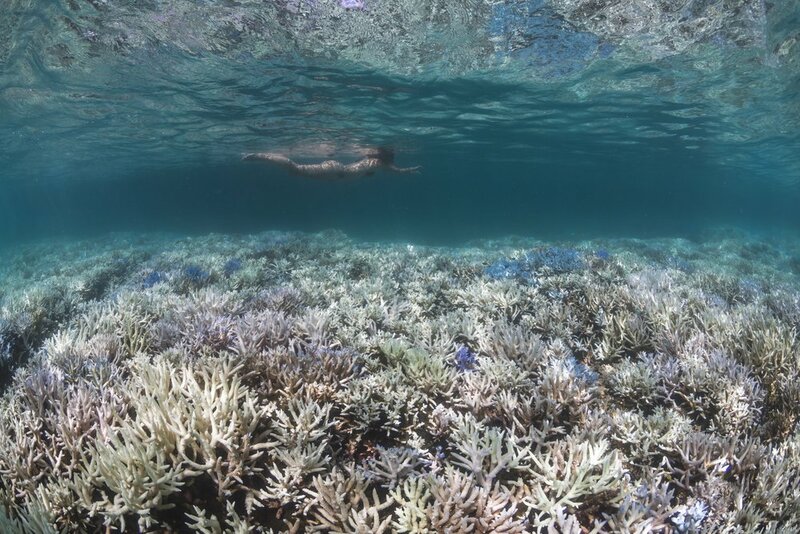 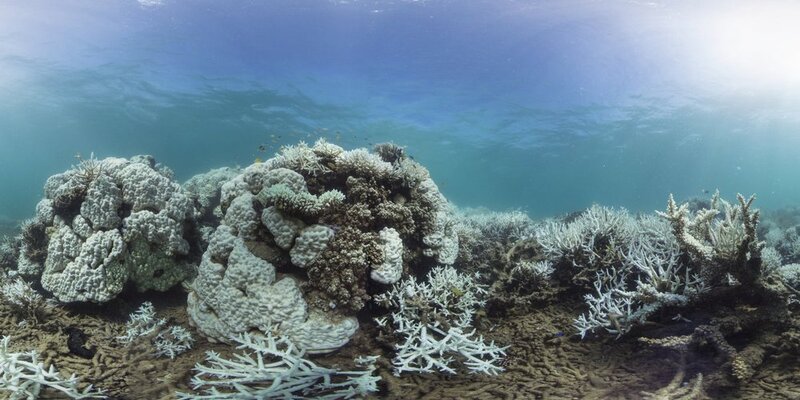 Corals are among the first indicators of climate change. 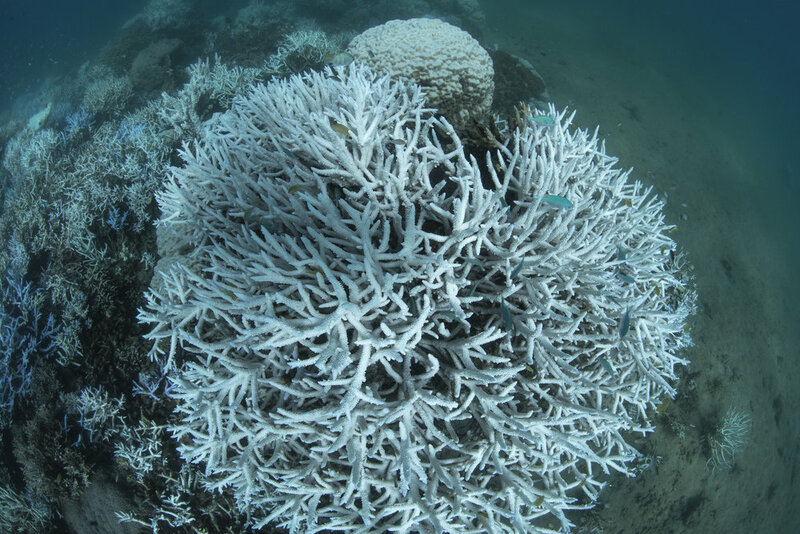 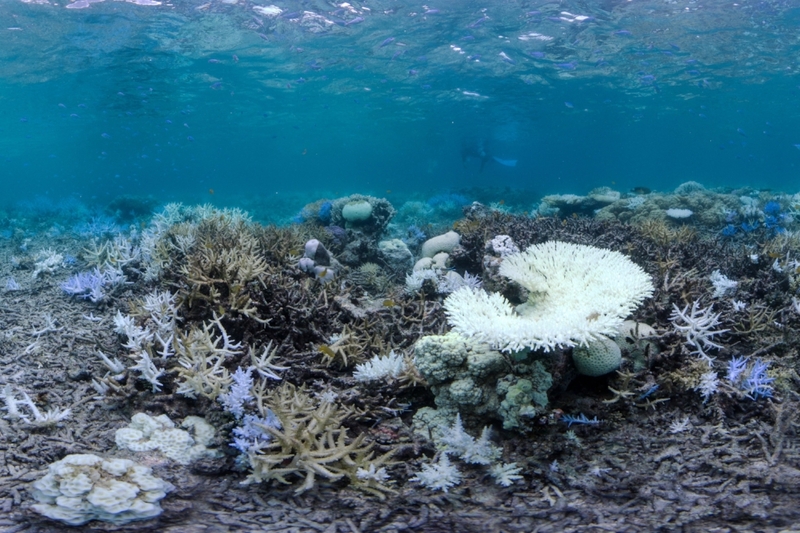 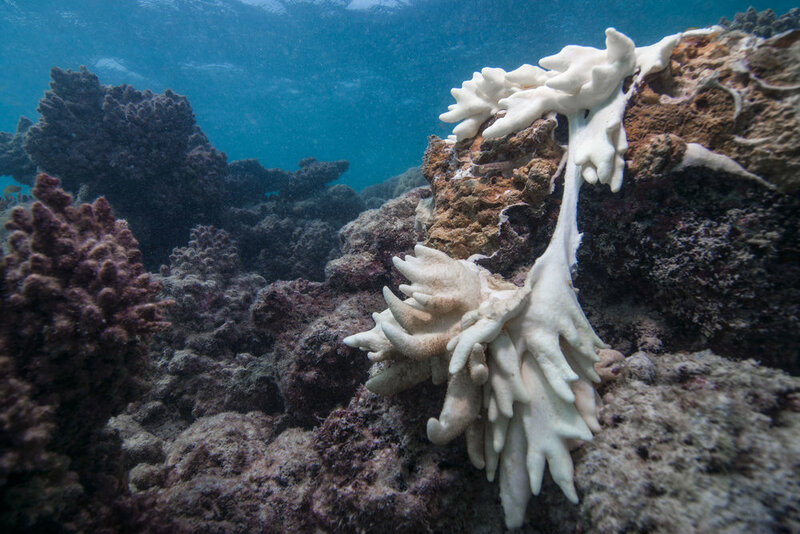 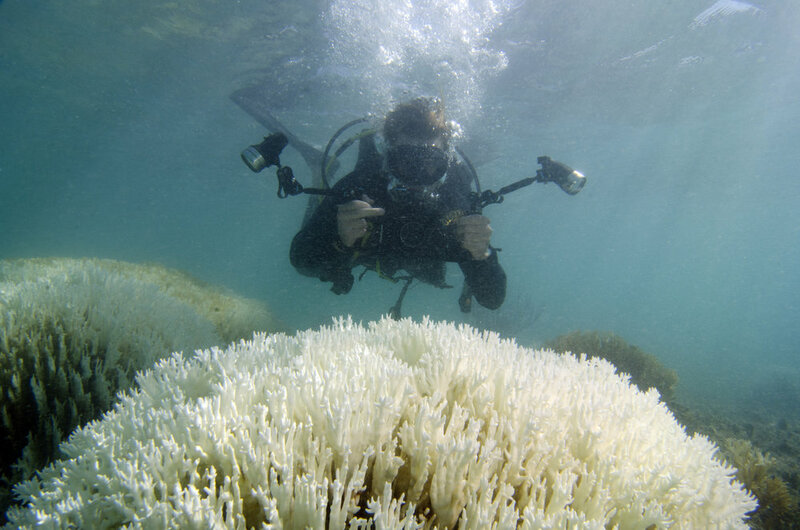 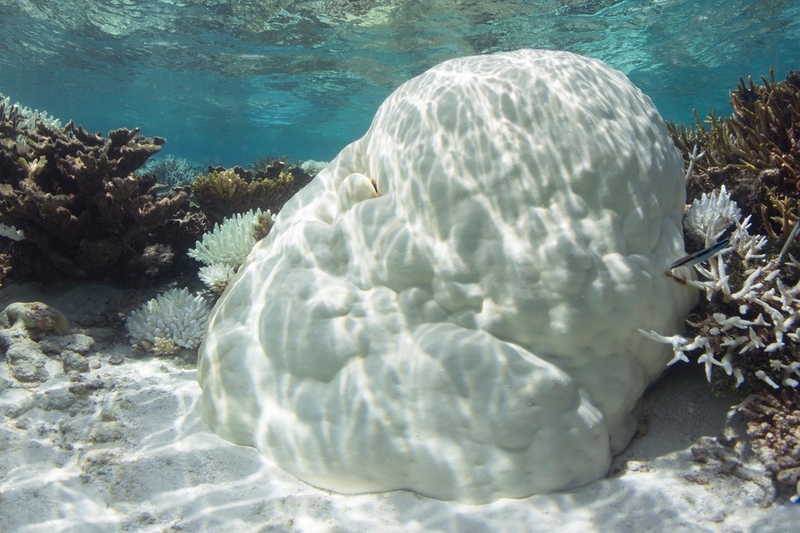 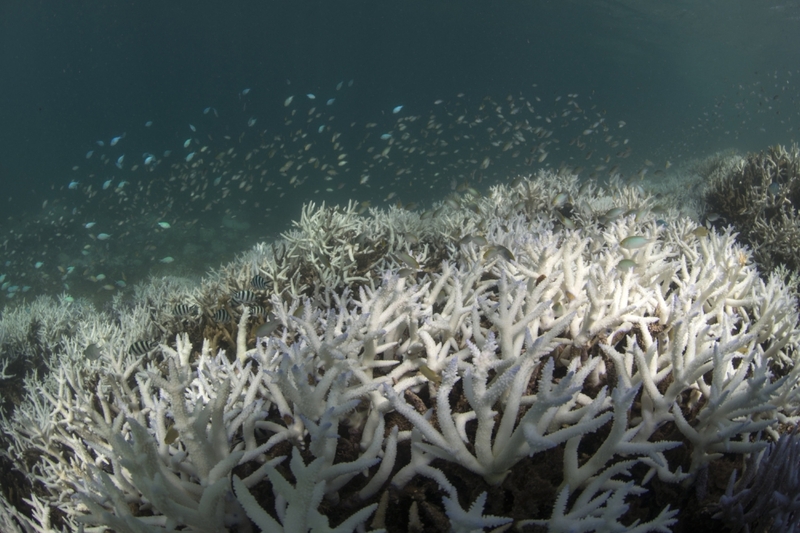 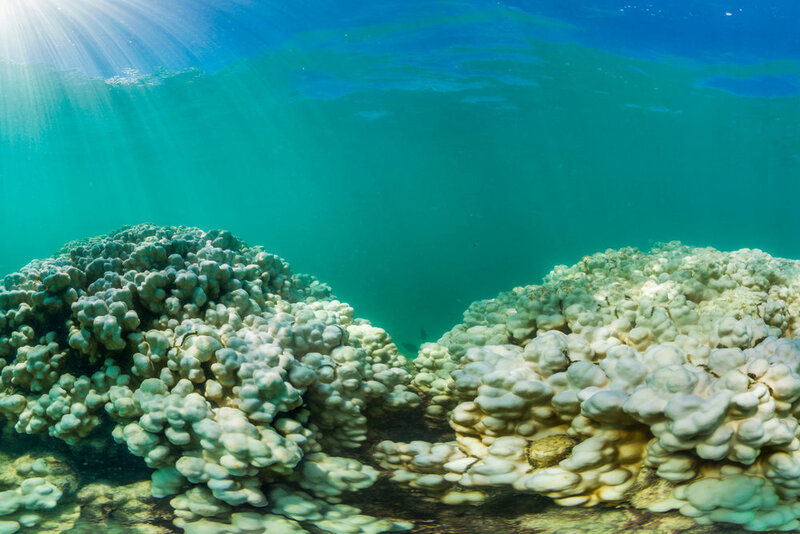 When ocean temperatures get too hot for too long, corals undergo a process called "bleaching," during which they lose their color, revealing a white skeleton underneath. 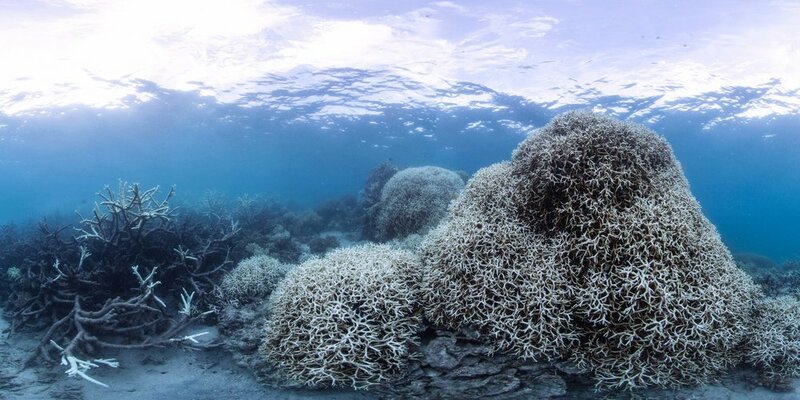 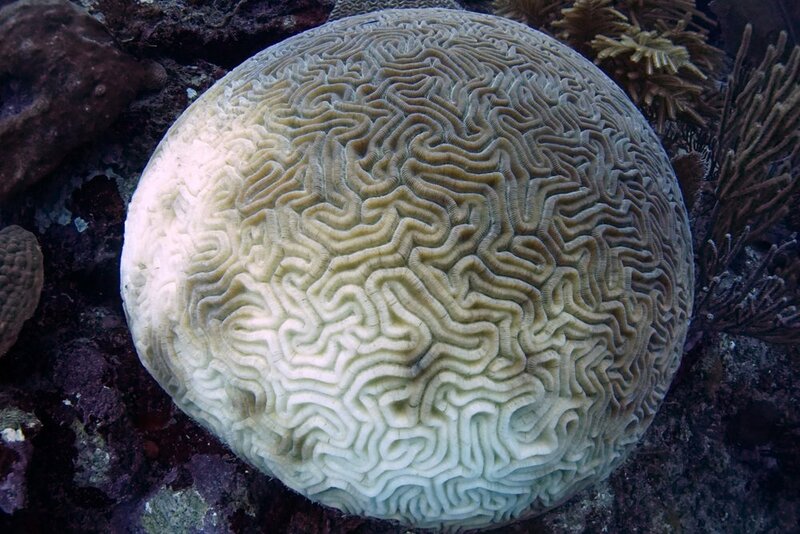 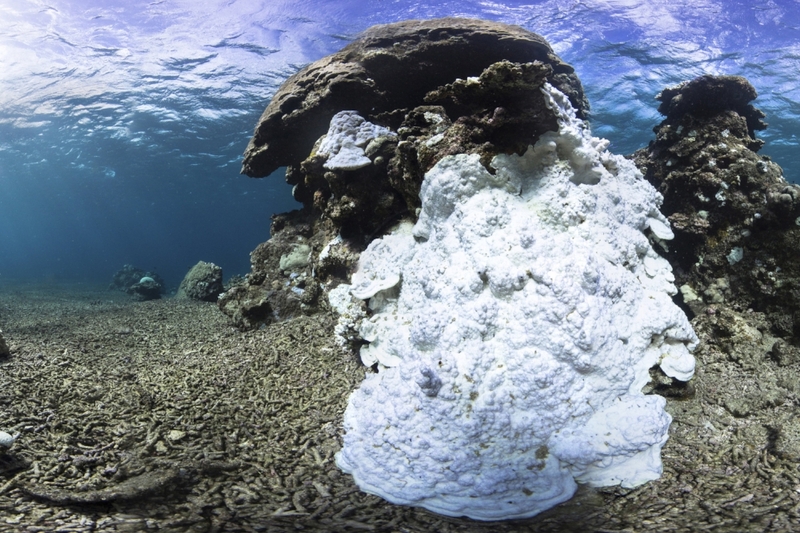 Coral death, as a result of coral bleaching.